I wanted to write a review for Zebra Removals after they provided myself and my family such outstanding service during our house move in Warrington. Everyone was so friendly and helpful despite the terrible Arctic weather and our moving day went without a hitch. The guys who moved us even disconnected our washing machine which we’d tried and failed to do. I’d certainly recommend Zebra Removals, very professional from start to finish with first class help when I rang their office. Thanks to everyone at Zebra Removals for making our house removal so easy especially so close to Christmas. We’ll be recommending your services to our friends and family. Very efficient and helpful. The men offered to move the piano as well, which I didn’t expect. Fantastic service. The guys on the day were extremely helpfull. We used Zebra last week and it was the most pain free move we’ve ever had. The guys made everything look easy, they were efficient and very friendly. We couldn’t have asked for better movers. We have used Zebra for our own move and now my Mum’s move and they did exactly what they were meant to, quickly, efficiently and courteously. If we had another move to make I would not hesitate to use them and will be recommending them to any friends, family or colleagues who have a move planned. After hearing from friends how good Zebra Removals were I decided to use them for my house move and I wasn’t disappointed. They did a great job on the day and made sure everything was in the right place in the house and that we were happy before they left. Definitely a local company I’ll be recommending. Two of my friends recommended Zebra Removals and I’m so glad they did. The guys from Zebra were absolutely brilliant and nothing was too much trouble for them. They moved us into a storage unit I’d booked and I’ll be booking Zebra Removals when we move back out. Highly recommended. Thanks for all the hard work with my removal last week you did a fab job. I’ll be using you again and definitely recommending your services. I would like to thank you for the fantastic job you did at my premises this week. Your entire involvement was extremely professional, from your telephone manner through to the attention to detail of the work you undertook. I was extremely impressed and I would certainly seek out your company if necessary and would have no hesitation in heartily recommending your services. The move went very smoothly – the guys were professional and prompt, and made the tight corners of my stairway look easy! I’d definitely use Zebra again. Fantastic service yesterday from Zebra Removals. The two guys who did our move went above and beyone the call of duty to get our things out of storage and into our new house. We’re not planning on moving again but if we do we wouldn’t look anywhere else. Great guys nothing to much trouble. Would definitely use again. Thank you. Used Zebra for two removals now and can’t fault them. Turn up at the time arranged and are very helpful throughout the time spent doing the move. If at any time in the future we were to move again we would not hesitate in using Zebra again. I was very impressed with Zebra Removals, from the first phone call I’m made to get a quote right until the removal guys put all my furniture in place. They were efficient, polite and friendly. They also helped put some wardrobes back together and did a super job. They took great care of my furniture. I would definately use them again and would recommend them. I really wanted to write a review for this company after they went above and beyond the call of duty for us at the weekend. We moved from Chester to Warrington and the whole thing had been a bit of a nightmare right up to moving day. We’d booked Zebra Removals after they were recommended by a friend and I’m so glad we did. They turned up on time, were friendly and courteous all day ( despite us being stressed ) and worked hard all day. They got the job done with no fuss and we were in our new home before we knew it. They even put our bed together for us. I’d like to mention the guys in the office as well especially Jonathan who’s had to put up with us and our problems for the past four weeks 🙂 A big thank you to Zebra Removals from the Ellis family. I’ve only moved house once previously. And that was a disaster. This time, I used a local firm instead of a big name. Everything went brilliantly. Punctual and courteous and at a great price. I’d use again and have recommended them to my sister too for when she moves house. We used Zebra Removals today for our move from Chester to Frodsham and felt I had to write a review to commend them on their fantastic service. They’ve looked after us from our first phone call right up to today when out removal guys worked non stop. Nothing was too much trouble for them and they made moving all our stuff actually look easy, these guys are seriously good! We were going to use a large national company but I’m so glad we went with Zebra Removals instead, not only was the service spot on but the price was good too. Ten out of ten from us and we’d recommend them to anyone. Moving house is stressful but Zebra Removals made our lives very easy this week . The price was great and the service just as described. With a young family to worry about and the school holidays the guys just came in, worked hard and got the job done.Highly recommended to anyone looking for a house move. Absolutely fantastic service from start to finish !! Myself and John Paul would like to thank you for arranging our move.Everything went really well and we can only apologise for the delay in themiddle due to the vender. We just felt we should email you to let you know Kevin and Wayne were superb !!! They were warm and friendly. They didn’t just move things from a to b- they assisted with many other little things throughout the day as well which was pleasantly surprising. We will recommend Kevin and Wayne and Zebra to anyone and if and when we choose to move again, we will one hundred percent use you! We will write a separate review on the website but please pass on our most grateful thanks to Kevin and Wayne for making a very stressful day so much easier and we felt very comfortable around them! The two men turned up exactly on time, carried everything very carefully, and did exactly what was asked of them. They were very good at remembering which packages came from which room, which helped us when unpacking. I would certainly recommend them to friends, and they were very good value for the day. Absolutely awesome service! Thank you so much!!! Thank you so much. You have been fabulous ! Excellent job thanks. See you in six months! Great work from the two gents who helped us with the move. Thank you. Fab job, lads very nice and very helpful. Perfect! So quick and easy, a must use for a move. Thank you very much for all your hard work, mammoth task ! Huge help – great men. Enjoyed the whole thing. Wayne and Troy turned up when they said they would and shifted some very heavy and awkward items for us. Total professionals and hard workers. Second time we’ve used Zebra and I wouldn’t consider anyone else to move our possessions. Excellent service, very pleasant gentlemen. Wayne and Alex were early to arrive, really polite and did a great job. I will be returning to you guys in the future. Many thanks. Very professional, excellent service. Would definitely use again. Zebra Removals got me out of a sticky situation at very short notice, I was let down at the last minute and Zebra came to my rescue. Polite friendly staff, good value for money, I would definitely recommend Zebra removals, they will be my first choice in the future. We have used Zebra for our home/office removals for years now. (And we’ve moved a few times!). Always a pleasure to deal with and have absolutely no complaints re their service, cost and ability to fit us in, sometimes at last minute. Will definitely use again.. when we next move..! Made what was last time a very stressful time into a pleasant easy move. Trustworthy, professional, efficient and friendly guys! What a fantastic local company!!! Phoned for a quote to move from a four bedroomed house and the gentleman called John was so helpful and come the following day on time, I would highly recommend anybody who’s thinking of moving to call zebra. Nothing too much trouble for these guys, they go the extra mile when it comes to helpfulness. Booking easy, very pleasant chap in charge who answered all my questions and gave a competitive quote. No breakages, smooth operation, completed on time. Thanks, recommended. These chaps came from a recommendation by a friend. They moved my Daughter and her Husband in a prompt,efficient and professional yet friendly and personal manner. 100% hassle free removal, everything was collected on time and delivered to new home at lightening speed. I would 100% recommend these chaps at what is used to be a very stressful time! I most definitely owe my friend a beer!! or 2!! Your guys were fantastic. They are superstars give them a pay rise! normally compliment businesses, however I have been so impressed with the guys who conducted both my recent house moves that I would like to take this opportunity to share this with you. Both guys are an absolute asset to your company – they are cheerful, friendly, professional and so helpful. They have made moving house a trouble-free and dare I say it, enjoyable experience! I cannot commend them highly enough – they are both absolute stars and based on their exceptionally high standards of customer care, I will be recommending Zebra Removals to all friends and family. I can’t praise the workers enough for the service. Excellent in every way. Brilliant service, very efficient and friendly. You guys were so nice and helpful! Thanks so much. Both of your guys were excellent, worked through and got the job done. Excellent service from Zebra Removals,they could not have been more helpful. The men have been great today, very friendly and they know their job well. Great guys. Excellent service and prices with well mannered and efficient staff. Nothing was too much trouble for the removals men, very pleasant and polite. Nothing was too much trouble for the removal men, very pleasant and polite. Excellent service. Excellent service from Zebra Removals. Very helpful gentlemen, got everything done as swiftly as possible and took a lot of care. I would recommend Zebra Removals. Thanks for all the hard work yesterday we were over the moon with the service we received. Nothing was too much trouble for the guys who carried out our removal, they took everything in their stride. Great job yesterday ! I wanted to send a little note just to say a big thank for helping out with my removal after I was let down by the first comapny I booked. I’ll know where to come next time ! Thanks again. Could you please pass on my gratitude to the removal guys who helped me last week, they were absolutely superb. I thought there might be a few problems as my property is not the easiest to get stuff in or out of but your guys really knew their stuff. I think you’re best local company we’ve ever used ! Everything was so easy to organise and went smoothly. Thank you for all the assistance during and before my house removal. I just wanted to say thanks for the great service we received for our move to Warrington last Thursday – both removal men were really helpful and it was much more affordable than any other quote we got for the move, even though we had a few awkward things like a motorbike. Thought we’d drop you a line to say a big thank you for our house removal yesterday. The guys worked hard all day and everything was co-ordinated superbly. We’ll definitely recommend you, thanks again. Thanks for the great service guys, I’ve used other companies in the past but you beat them hands down on service and price. I’ll know where to come next time I move. March 2013 – Mr and Mrs Alexender of Warrington. Having looked at other companies in the area we decided to book you guys and I’m so glad we did. What could have been a really stressful day was made so much easier by the professional way the whole job was carried out and the way everything was organised for us. We wouldn’t hesitate to recommend Zebra Removals. Very good service, lovely guys who were pleasant, gave an excellent service and were very helpful. I would recommend anyone who is moving to give them a call. Can’t say how much help your men were today. They made the whole move so-so much easier. Both great guys and nothing was too much for them. I really appreciate the way they went about what was a difficult job, getting up to an apartment on the fourth floor ! May 2012 N. Marshall of Handforth. I think the service was absolutely excellent and quick. I give an A rating. Would definitely recommend to friends. April 2012 Shirley Alexander of Macclesfield. Zebra Removals stepped in when I was let down by another company. The workers were fantastic. They worked non-stop. I can not thanks them enough for their really efficient service. April 2012 Mr. Harris of Warrington. The 2 guys were absolutely brilliant. Really helpful and friendly. Would highly reccommend them and you as a business. Again, thanks for everything. April 2012 Karen Baker of Macclesfield. Wonderful job. Very quick and hard working. Thank you so much. Excellent service, very efficient, very friendly and hard working. Will Recommend to friends and will be using Zebra again in the future. Thank you ! November 2011 Lesley and Steve of Sandbach. Very professional and friendly and took care of our furniture as if it was their own. Would definitely recommend. We couldn’t be more please with your courteous manner and the way you dealt with our belongings. Your team were a credit to Zebra ! Really polite, efficient, patient and helpful removal men. Definitely recommended and would use again. Best moving team we have had in over 20 moves ! August 2011 Emma Lochery of Cambridgeshire. I wanted to thank you again for the prompt and excellent service you gave us for this delivery. Best removal service either of us has ever experienced! July 2011 Mr and Mrs Harvey of Manchester. We have not had chance to comment on Wayne and Mark’s excellent service last week due to a lack of both internet connection and phone line at our new house. We were most impressed with Wayne and Mark who were both courteous and helpful for whole time they were both packing and unpacking our worldly goods, will you please pass our gratitude to them and yourselves for an excellent service. We will certainly recommend you to anyone we know who requires your expertise in the future. July 2011 Mr and Mrs Carter of Staffordshire. The guys were brilliant, worked all day non-stop. They couldn’t have been more helpful. June 2011 Mr and Mrs Jenkins of Chester. Brilliant workers, friendly and helpful, would recommend to friends. Very pleased with everything, thanks ! June 2011 Sue and Dave of Warrington. We moved from 3rd floor apartment to ground floor apartment and yes couch wouldnt fit into lift. No moans just got on with the job professionaly and quickly. Made a stressful day a bit more bearable with their friendly helpful maner. Would definately recommend to anyone. Thanks again Sue and Dave. May 2011 Mr Jones of Preesall, Lancashire. Hello Just wanted to say thank you for a fantastic removal last week, very professional and would certainly recommend you anytime or use you myself if needed. May 2011 Vicki I. of Liverpool. Extremely helpul, fantastic gents ! Thank you so much for making moving day cheerful. April 2011 P. Crawford of Knutsford, Cheshire. Really polite, efficient, patient and helpful removal men. I would definitely recommend and use Zebra Removals again. April 2011 D. Hallam of Lymm, Cheshire. Thank you for providing nice staff, being on-time and giving a professional service. Zebra Removals provided a fast, helpful and brilliant service and their prices were excellent ! I have just used Zebra Removals to move a small van load of furniture from Runcorn to Lincoln. I can recommend the company 100%. They turned up on time and got on with the loading in an efficient, professional and friendly manner. When the van reached Lincoln the unloading was equally efficient, professional and friendly despite the constant drizzle. Why waste time and energy doing it yourself when there is a company like Zebra Removals? Zebra Removals were happy to help and friendly, providing a swift removal and quick delivery to our new home. I would use you again and will refer friends and family to your company. February 2011 Roz T. of Chester. Don’t look anywhere else, these guys are great! I found Zebra through a random search on the internet. It was a lucky find! From the minute I emailed they were so helpful. I had to move my Gran who had lived in her flat for 40 years into sheltered housing and it was a mammoth task! Not only did Zebra help with the removal of furniture in an efficient and professional manner, they also came back and helped me unload over 45 bin bags of unwanted items and various bits of unwanted furniture! They really went out of their way to help and I can’t thank them enough. I wouldn’t bother looking anywhere else. 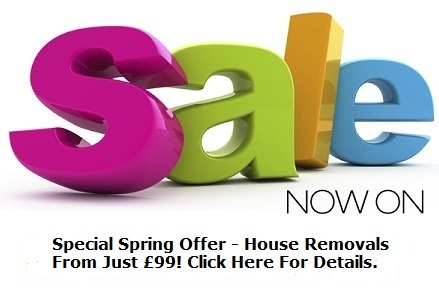 The service they offer is great value for money and they are just as good as expensive removal companies. If you’re considering looking around the internet for other companies, don’t bother, these guys are great! I’d definitely book them again! February 2011 John A. of Timperley. Zebra removals helped move our elderly relative from the third storey of a block of flats brilliantly! They even came back to help us with items that needed recycling. Couldn’t fault them and would heartily recommend them to anyone. January 2011 Mr and Mrs Hardwick of Frodsham. Just to say thank you, you made a stressed day so much easier! We were impressed by how hard working and helpful you’ve been. Thanks for coping with our rubbish packing technique and chaotic day! January 2011 Michaela L. of Warrington. Thanks for being so helpful and flexible with changing dates. Excellent service. January 2011 Mr and Mrs Jackson of Aigburth, Liverpool. It seems rare these days to find a company that actually does what it says but I definately found one with Zebra Removals. Great service from my first phone call to their office right through to when the last box was placed in our new house. After previous house moves with other companies, this house move with Zebra Removals was actually a pleasurable experience for myself and family. Thanks to everyone at Zebra Removals. Colin and Lynda Jackson and family. Aigburth, Liverpool. Excellent service, I would recommend Zebra Removals to anyone, they went above and beyond just moving my stuff!Everything arrived intact with no problems at all. January 2011 Mr C. of Northwich. I have used this company on several occasions and they have offered excellent service at reasonable rates. January 2011 Mrs F. of Liverpool. Good prices and Zebra took all the stress out of moving. Friendly and approachable. January 2011 Mr and Mrs W.K. of Blackburn. I arranged my house move with you back in November and wish to thank you for how smoothly it all went. We were incredibly pleased with the standard of service that we received. December 2010 Stephanie W. of Cheshire. Zebra took all the stress out of our house move. Calm, efficient, personable and professional throughout, I can’t recommend Zebra enough. With some big, heavy furniture and a few antiques, everything was packed onto the van with care and delivered the same way. I would definately use them again. December 2010 Mrs S. of Reading. Many thanks, we were very pleased with your great service and very polite and friendly staff. Very smooth move. We’ll definately recommend Zebra Removals. Excellent service and prices. November 2010 Steve Smith of Chester. November 2010 Jenny Scott of The Wirral. I thought this company deserved a review becuase of the briliant service I received from them recently. What could have been a very stressful day was made that much easier by their professionalism and sheer hard work. They turned up on time, they loaded the van quickly and efficiently and have everything un-loaded and in the correct rooms very quickly. They even moved the contents of my shed and wouldn’t let me leave anything behind when I felt guilty about the amount of stuff I had! Definately recommended. November 2010 Mr and Mrs Travis of Chester. Having just used this company for a house move from Chester to Warrington I’d just like to say what an absolute pleasure it was. Our men arrived on time and nothing was too much trouble for them. I was worried that I may be cutting corners by not booking a big company but my fears were soon put to rest.I will certainly be recommending my friends, in fact one of my friends has already booked with Zebra Removals. 16th August 2010 Mr. W of Kent/Knutsford. We moved from Kent to Knutsford recently and Zebra Removals were the perfect choice. They arrived right on time, had our things loaded onto their van quickly and efficiently and had them un-loaded, in Knutsford by that afternoon. The guys from Zebra were friendly and polite and couldn’t do enough to help us. I’m so glad I chose a removal company from Warrington instead of kent for our move and I hope all local businesses are as good as Zebra Removals. 10th August 2010 Charlotte of Ormskirk. 3rd August 2010 Miss J of Stockton Heath, Warrington. I used these guys for my removal from Stockton Heath to Birmingham and they were brilliant. They turned up on time and got everything into the van really quickly plus a few bits I’d forgotten about! 23rd July 2010 MR P. of Cheshire. Thanks for the removal, all went well, and all involved had nothing but praise for your professionalism.I will have no problem in recommending you to friends and others who may require your services in in the future. 15th July 2010 J of Nottinghamshire . I just wanted to say thank you for the excellent service that you provided. I have never used a courier before, and to be truthful, I was a little dubious at first, but I am so happy with the professionalism, courtesy and effeciency of your set up. You made it all a hassle free transaction, and may I add all at an extremely competetive price. it’s always good to see nice, honest people doing well, and I wish your company all the best. I would not hesitate in recommending you to anyone. Provide a service for a reasonable fee. You delivered a great service, the best money we have spent for a long time.